Carlos Slim, the Mexican tycoon and the world’s richest man, scoffed at Bill Gates and Warren Buffett for “playing Santa Claus” to cure poverty’s ills. But that’s where we are. Our guys—Bill Gates and Warren Buffett—are all about giving it away. 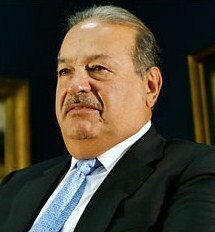 Carlos Slim? Not a chance. A few months earlier Carlos Slim, the richest man in the world, made an assertion. In an interview that was widely reported, he stated, “Our concept is more to accomplish and solve things, rather than giving; that is, not going around like Santa Claus…. Poverty isn’t solved with donations.” In a recent two-hour interview in his office, Mr. Slim promised that there would be no ceiling on his donations. “We want to get to the root of problems, no limits,” he said. Because Mexico’s income distribution is severely skewed, Mr. Slim has come to personify the small elite who control vast sections of the economy. So he has been feeling the pressure to give much of his enormous fortune away. Some time ago, he pledged to increase the endowments of his companies’ foundations to $10 billion from $4 billion in the next four years. He promises to spend money on education and health. Very few would argue with Mr. Slim’s assertion that poverty cannot be ended by donations. Slim wants to build huge hospitals in northern Mexico where the country-region can ship tens of thousands of Medicare patients for health care that can be delivered at much cheaper costs. Slim was unimpressed at how Buffett and Gates vowed late last year to combine their entire fortunes into the world’s largest foundation to do good works. He also referred to Warren Buffet, No. 3 billionaire, who also donated 80 percent of his fortune to the Gates couple’s foundation. But he, said Slim, established a system in which the funds are not transferred unless the people managing them are efficient at generating high levels of revenue. So, is Carlos Slim Helú a good guy or a bad guy? Neither, or both, depending on your politics. He’s a rich businessman who intends to use his skills, influence, money and the law to get richer. Just like every other rich businessman. And just like every other businessman who wishes or dreams he was rich. Previous story Are Greed and Fear Driving your Investment Decisions? I have to give it to Slim for enlightening me with “Poverty isn’t solved with donations” it’s true; poverty is a mental decease a one time donation is a quick fix not a long term solution. It’s easier to give a homeless person a dollar then to invite him to your home, get him some clothes, help them find a job, find a suitable living place and ensure they can handle society’s new expectations. We tend to prefer the quick fix and leave it (red cross, food banks, shelters) to others to pick up the slack on long term solutions. Mexico is known for corruption, stories of cops pulling tourist over just for extortion of money are common around its borders (I live 5 minutes away from the border) so you can imagine how rotten the core can be. By giving money away he would simply be filling crooked individuals pockets. Setting up hospitals and schools is a better long term solution; education is a proven tool to exclude your self from poverty, deceases are rampant among the poor since access to hospitals is costly especially if you have no money, no education. In the end my point is this “Consider who you donate to, is their solution a quick fix or a long term solution”. Teach a man to fish is better than giving him a platter of fishes. I agreed with Mr Slim that poverty cannot be eradicated by donations. Well, we can’t keep on giving because that’s not a long term solution. The better options is for the rich and influential to help build up a strong education, social and medical system so that the public can grow mentally, emotionally and physically, and of course financially. While it just means that Gates is popular due to Windows, it also goes to prove that any philanthropic work he does probably catches more attention than the same work by Slim or Buffet, and hence shape the mass opinion… most likely in his favor. So, I agree with Carlos that we should not just give.